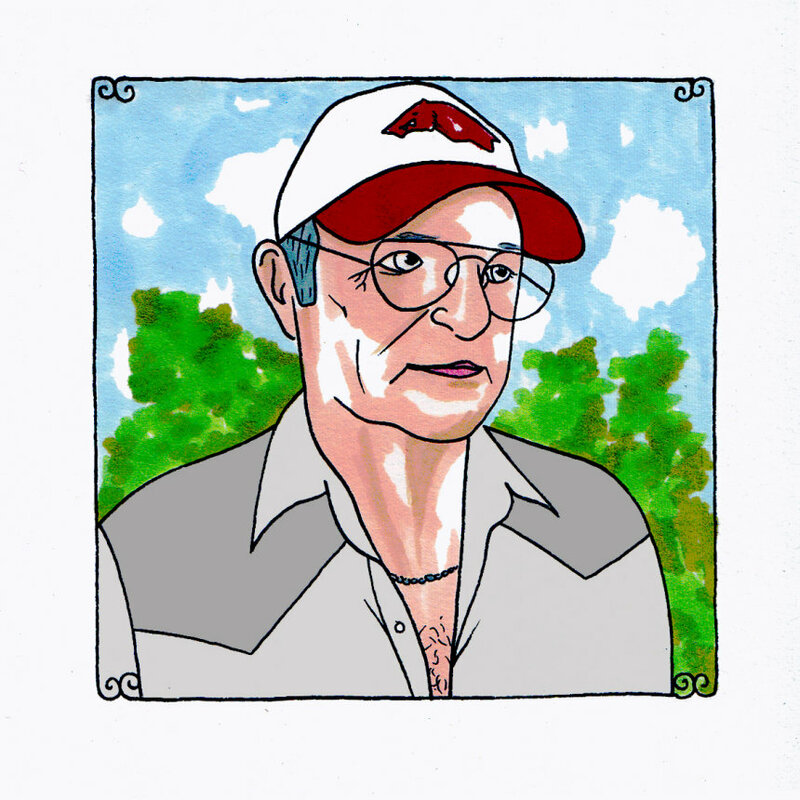 Michael Chapman visited the studio on one of those summer days that you dread. Damned if it doesn't always work the way you wish it wouldn't some days. The 70-year-old Englishman arrived on a hot and humid day when our air-conditioning unit at the studio checked out forever. It was just a sad, old piece of machinery, whirring itself silly, but nothing was happening and the degrees just kept on rising to near unbearable levels. It was stuffy and nasty here and yet, if a songwriter as great and as fine as Chapman was going to come well out of his way to stop in, the last thing that we wanted to do was to cancel the session on account of the conditions. The man rarely tours the United States and on this day, he was coming out from Chicago and was headed right back for a nice, big meal and a flight to the East Coast for a couple more shows before returning to his home and his wife. It was the re-issue of his great album, "Fully Qualified Survivor," on Light In The Attic Records, that brought him over here, accompanied this day by someone from another bird of a feather in the business of dusting off and beautifully reinvigorating classic albums, The Numero Group. He was dressed like a Texan or an Oklahoman, a cattle man, someone just fresh from the milking chores or baling hay in the stifling summer sun. He had battered boots and jeans on, a wide-open, snap-up shirt and a baseball hat. He could have been misplaced from the world's largest truck stop on nearby Interstate 80, if we didn't know any better who to expect. You can hear him breathing hard at the end of "Kodak Ghosts." It's the heat escaping from his body as he puts the final finger-picking touches on just one of his many haunting songs about the rough-hewn battles that crash against every man's shores without fail. He sings of the tough winds and the tougher people as they bounce off one another, as they tatter them and as they simply stare. The people in Chapman's poignant and biting songs about broken dreams and everyday misery choose find a laugh in the misfortune. They live with it because what else are they supposed to do. He sings on "Memphis Winter," in between toweling the sweat from his brow and forearms for the 20th time, "They say that Jesus saves, but I see none of that down here/I see people with a hunger/I see people with a fear." Directly after he delivers the line about Jesus saving, he gives a convincing, if not unplanned chuckle to the contrary, and it's a chuckle that could have come from the throat or the belly of any of the characters from his songs - honest and meaningful. It could have come, accompanied by faces wide-awake and eyes half dead, just to give a sign that the blood remains. It will pump, against the odds - always against the odds. The same goes with a lot of these people.